This is pretty self-explanatory. First turn, use Substitute and depending on what the opponent switch-into your honchkrow from there you can Brave Bird or Sucker Punch them. Moxie (the hidden ability) gives it an Attack boost every time it faints a Pokemon (directly, so having it killed by residual damage like Sand or Hail won't trigger it). 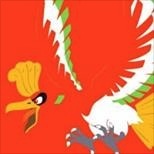 Brave Bird would probably be the best move to use once you set up a Substitute, since you'll get STAB. That alone will pack a very big punch, and can be the catalyst of getting the Moxie boost. Sucker Punch can also be switched to Night Slash if you'd something that doesn't rely on the opponent deciding to attack or not, although the priority it gives helps with Honchkrow disappointing speed. Both of those moves give it reliable STAB options, only being walled by Tyranitar, Bisharp, and a couple of the Fairies like Mawile, Klefki, Carbink, and Dedenne. This is a good moveset for honchkrow (Pokemon #430) with the moxie ability/trait, a Adamant nature, and equipped with Life Orb submitted by RedSerperior. For use in competitive Pokemon battles featuring an Export option and breeding guide.